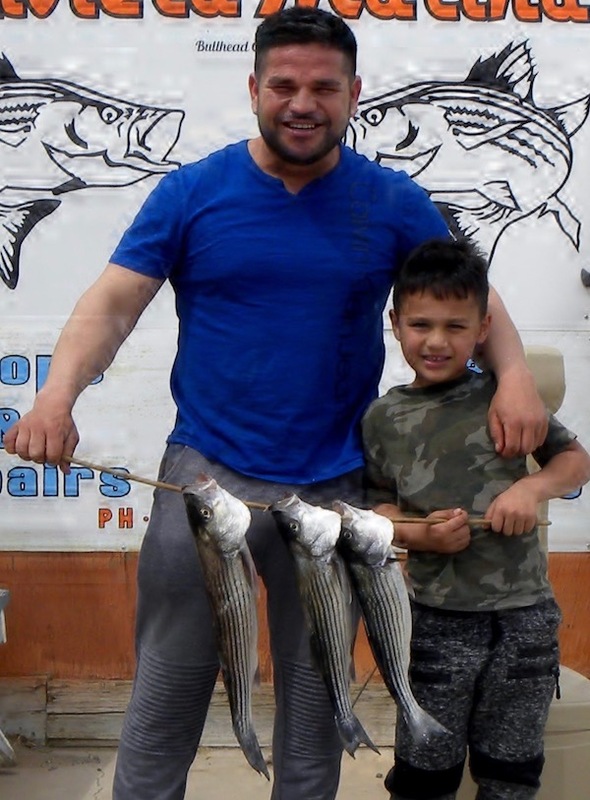 We have the Romeros family Chiwy with his son Gordoy (5 years old) which is seen here helping dad show off the catch. while Tury wasn’t able to make it in but did land one of the stripers. They were fishing from shore near the Davis Dam on the Nevada side using anchovies. the larger one weighed in at 2.38 pounds and 20 and 3/8 inches. We have our stripers back. 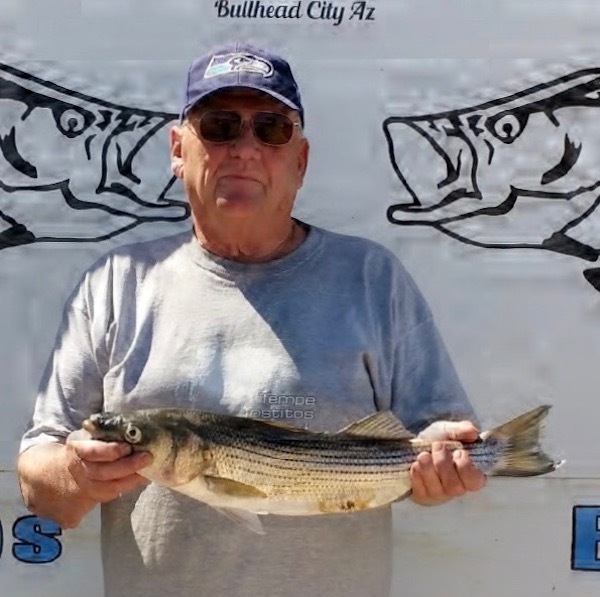 The Striped Bass are being caught up and down the river as the reports are coming in. Anchovies are working well for you bait anglers, and no word as of yet on any lure action. My favorite the bomber long or the glide swimmer just to name a couple worth trying. 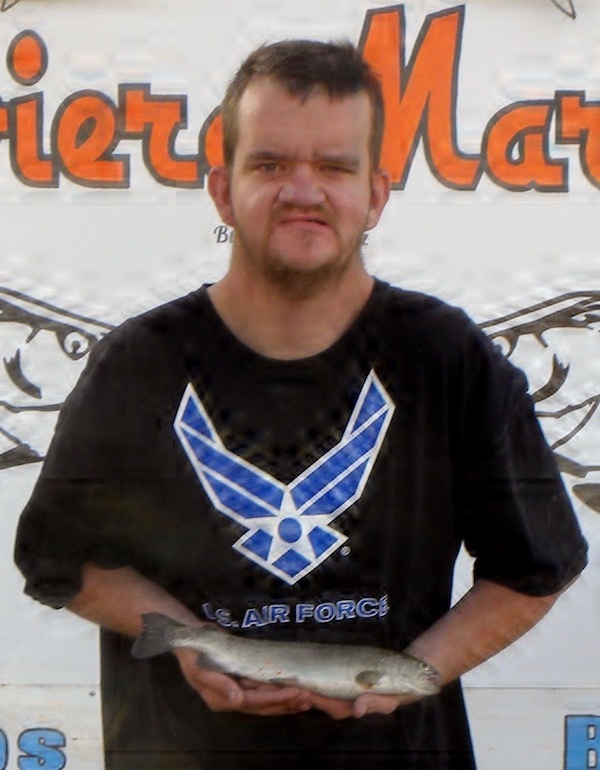 A visiting angler from Washington state Skip Leese was also fishing near the dam using anchovies and his fish weighed in at 3.74 pounds and 24 and 3/8 inches.